For the past 15 years, Dennie Tabor has been the Director of Cosmetic Services at Advanced Dermatology Center. She is a Master Injector and Laser Specialist in the field of Cosmetic Dermatology. 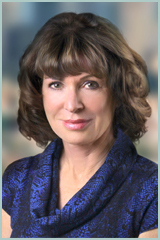 Dennie is known throughout the Los Angeles area as being one of the Top Cosmetic Nurses in her field. Her patients continuously rave about the treatments she has provided for them. She is truly exceptional in her outstanding service and care for her patients and we are very happy to have her as a part of our team. Jennifer Ellis, MSN, FNP-C is a Nurse Practitioner with a passion for holistic care and personalized wellness. Jennifer received her Bachelor of Science in Nursing Degree from the University of Southern California, and went on to earn her Master of Science in Nursing Degree with a Family Nurse Practitioner credential from Simmons College in Boston. For close to 20 years Jennifer has cared for patients in a variety of settings including hospitals, clinics, Medspas, and Physician’s offices. Jennifer holds a national Board Certification with the American Academy of Nurse Practitioners. 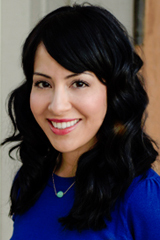 Jennifer has over 15 years of experience in aesthetic medicine. She is known for her natural looking Botox and filler injection treatments and has patients come from long distances to be treated by her. She has also studied with the Institute for Functional Medicine, and is currently working on becoming board-certified in Functional Medicine. In her free time she enjoys going to concerts and spending time with her family. Sally comes to us with 10+ years’ experience as an R.N. with specialized training in injectables and laser treatments. Sally is a tri-lingual, speaking English, Farsi and Urdu. Sally grew up around aesthetics and skin care and knew from a young age she wanted to be in aesthetics. Whether it’s improving a facial feature or maintaining what a patient already loves about themselves, Sally enjoys working with her patients to create and maintain the results they want! Born and raised in California, Yvonne started her career in the medical field 10 years ago as a Cosmetic Medical Assistant. She expanded her knowledge in the field of Cosmetic Dermatology and completed her education as an Aesthetician. In addition, she is a certified CoolSculpting practitioner. She is known by our patients to be very caring and exceptional in her line of work.